Today is a big day for crafting! I’ve got two crafts AND a baking adventure to share with you! We’ll start with the baking! Midweek, Jordan requested that we make cupcakes because I was showing him some cupcake baking blogs and they just looked so good. So we did. 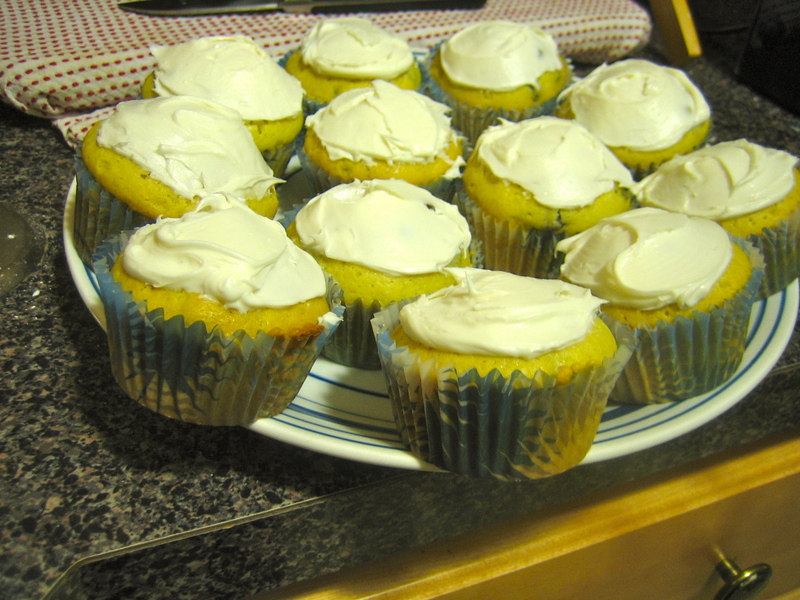 =) Here are our delicious chocolate chip cupcakes with whipped vanilla frosting! 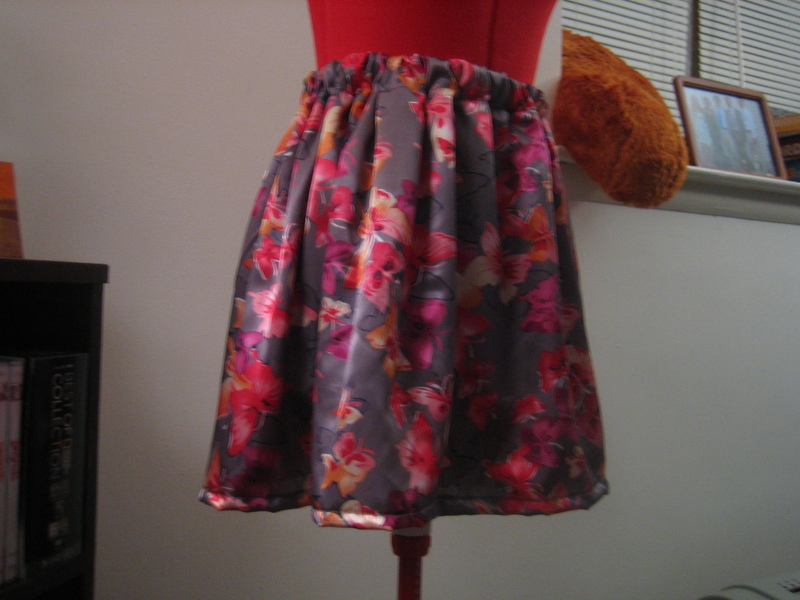 I love the watercolor effect on the fabric! 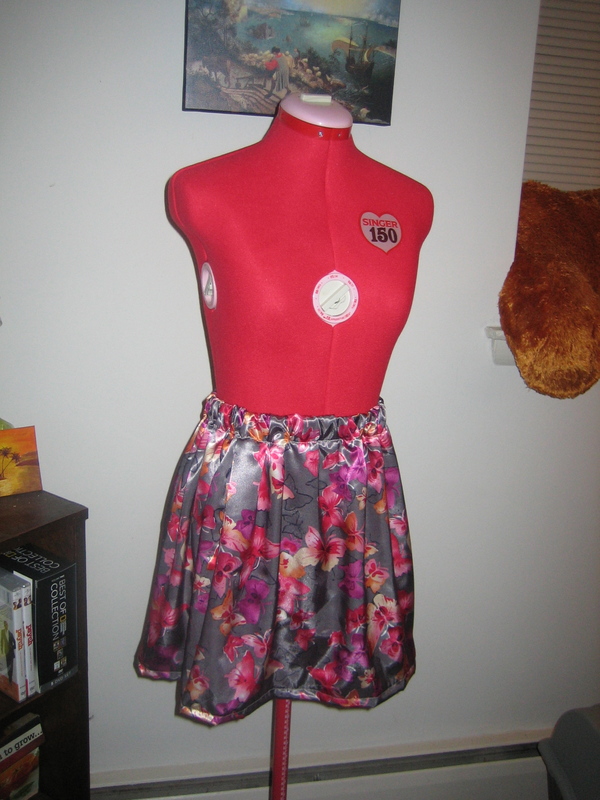 Sorry there aren’t more pictures of the process but with the sewing machine gone and everything, I was all out of whack. =( I’ll get my act together in the future. For instance, with this next craft! Like I mentioned before, Jordan and I went home to Jersey on Saturday to see my parents and hang out with Caity. She and I had some jewelry making to do! 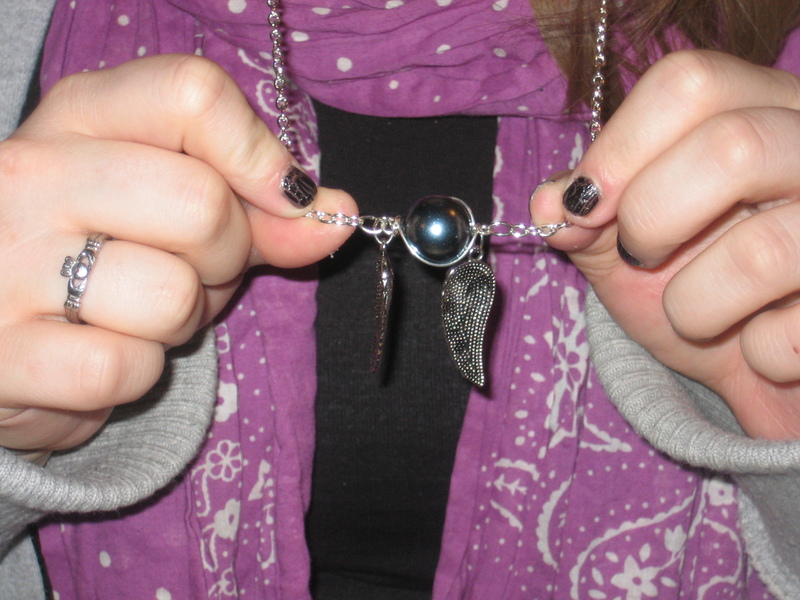 We decided to make Golden Snitch necklaces in recognition of our great love of Harry Potter. (I told you it would be magical!!) First, we went to JoAnn’s and Michael’s and got our supplies. 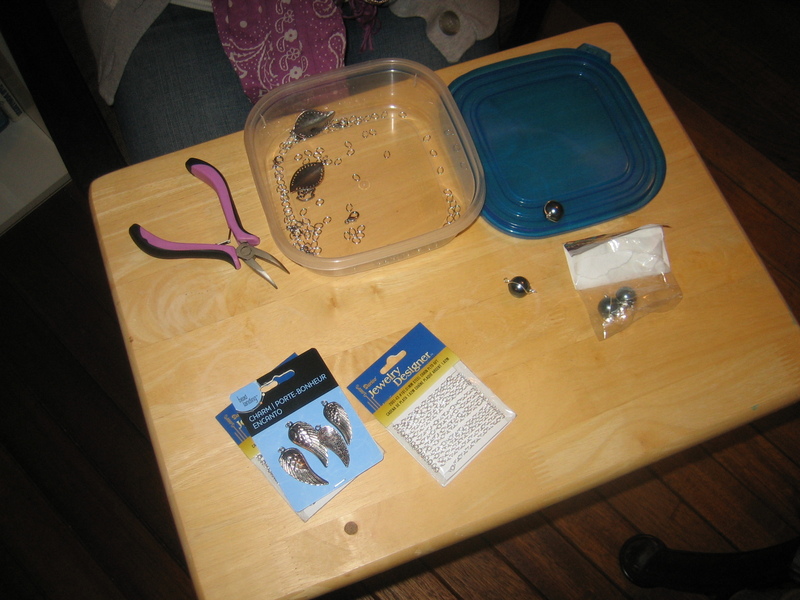 Pliers, lobster clasps, chains, beads…we’re all set! I doubled my chain to give it a less-delicate look. 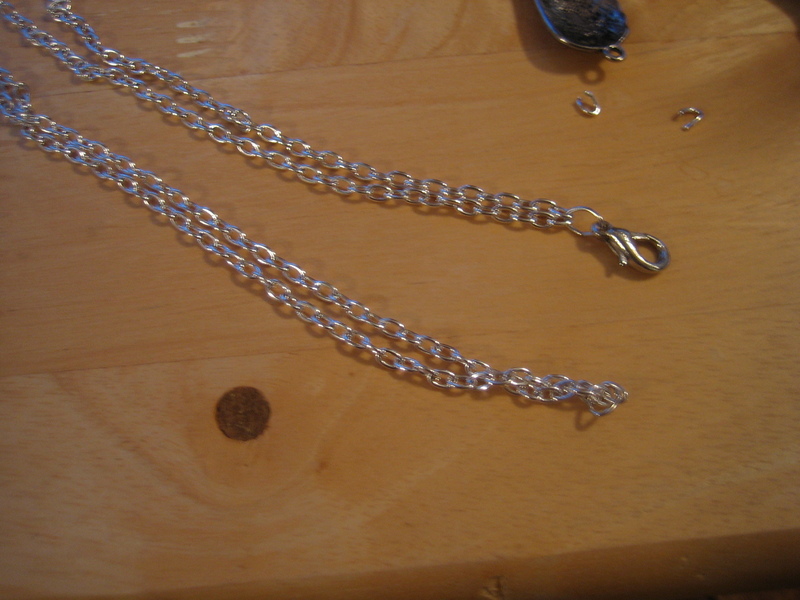 Then, I attached the lobster clasp to one side and a jump ring to the other. 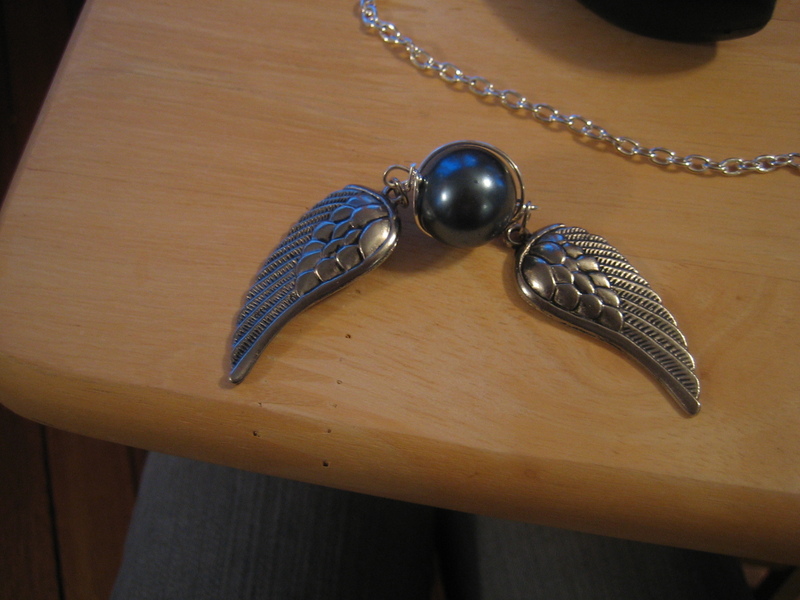 Next, I made my snitch, which ended up being silver and blue because Caity and I thought the colors were pretty. Also, it’s much harder than you’d think to find a plain, large gold bead. 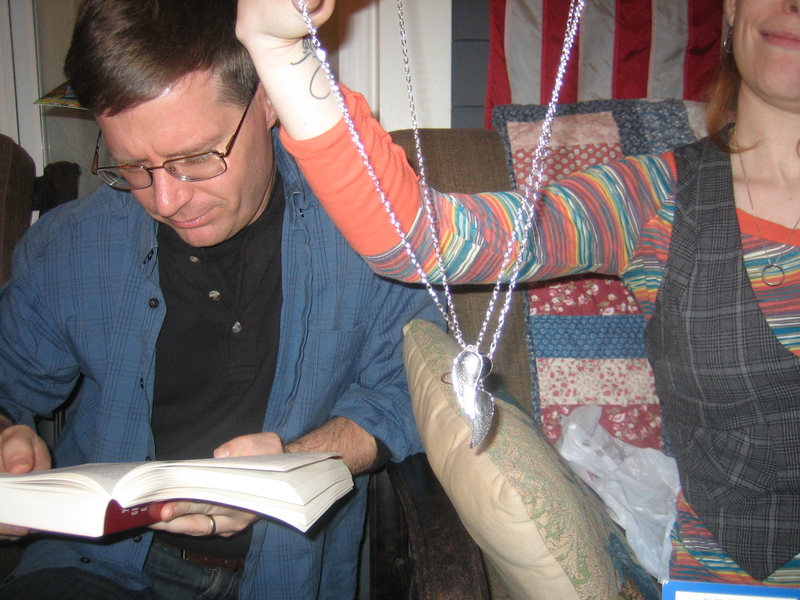 Sadly, Dad is not reading Harry Potter. After some last-minute tweaks, revisions, and repairo spells, here are the final products! I’m so wearing this to Harry Potter world this summer. Tada! Crafts 6 and 7 of 52: Complete! 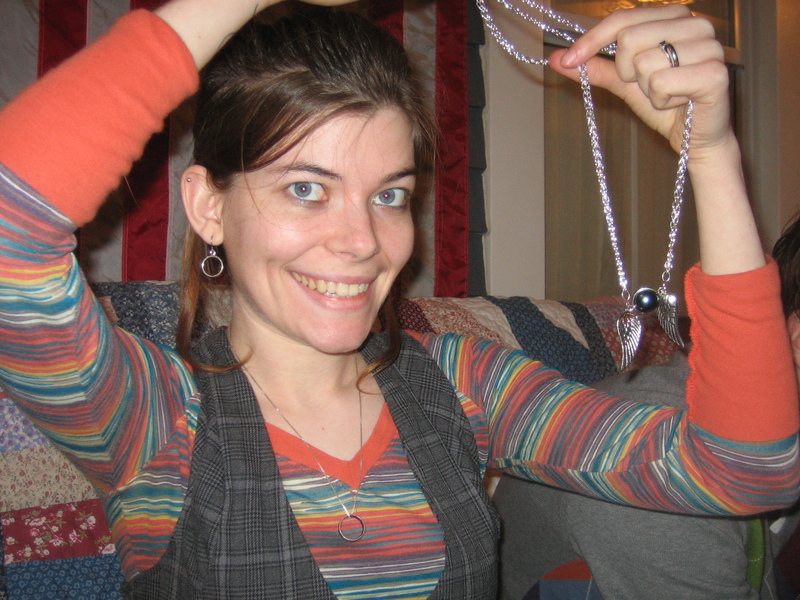 The snitch necklace is awesome! YOu should sell them on etsy!